AdProfs is an independent ad tech consultancy based in Toronto, Canada. The mission of AdProfs is to demystify the ad tech industry and the world of programmatic advertising. Our desire is to teach others by providing detailed answers to all the important questions. Ultimately, our goal is for people to walk away educated and transformed with practical knowledge and skills the market needs. And while everyone agrees that education is a good thing, businesses sometimes need additional help to get results. That’s why we also consult for clients. Our consulting services help companies save time and money by cutting through noise, avoiding pitfalls, and formulating the right approach to achieve objectives. We have a wide range of clients: marketers, publishers, technology companies, and investors. We provide education, audits, due diligence, market research, product guidance, and strategic business advice. Learn more about our ad tech consulting services. Ratko Vidakovic is the founder of AdProfs and a leading authority in programmatic advertising technology. He started his digital marketing career as a publisher, co-founding ToyotaNation.com and growing it into the world’s largest Toyota-enthusiast community before selling that business. 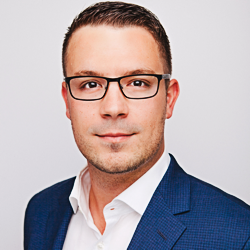 After several years as a performance media buyer, Ratko joined SiteScout as part of the founding team. At SiteScout, he built the inbound marketing machine that grew the DSP business to over 60,000 users and $20MM+ revenue. After Centro acquired SiteScout, Ratko held leadership roles in both product management and product marketing. He publishes his ad tech insights in a weekly newsletter read by over 9,000 industry professionals. 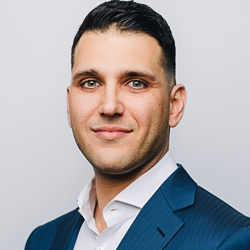 Terry Taouss is a former corporate lawyer and MBA who built a practice advising some of the fastest-growing technology companies in Canada. He joined the SiteScout management team early on, and helped profitably grow the business right through its acquisition by Centro. Terry then served as the Managing Director of the standalone DSP business unit (SiteScout & Centro DSP) with carriage over strategy, product, marketing and sales. During this time, Terry was also a member of the Centro executive team, helping guide strategy for the company's broader technology and services offering. Over the years, he has acted as a strategic business advisor to multiple tech startups, including many in the ad tech space.